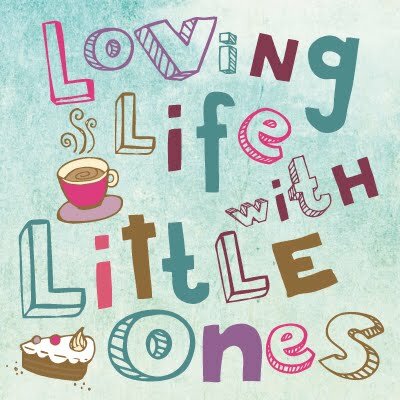 Loving Life with Little Ones: Little 2 has a 5th Birthday. Little 2 has a 5th Birthday. I am a bit late in writing this post as Little 2's birthday was last week but in my defence I have had some horrible flu type bug followed by a sinus infection and I haven't blogged much this week at all! So my Little 2 has turned 5 years old, the day started with her having a lie in while her sister and brother were up and waiting for her to come down, in the end I had to go and wake her, she has been rather tired in the run up to half term. It was a weekend and so she didn't have to go to school, there was plenty of time for her to open her gifts and she was really happy with what she received. When I had asked her what she wanted to do for the day she really really wanted to go out and ride her bike. Little 1 has recently got a bigger bike and now Little 2 has her previous one, she is just about tall enough for it and is practicing really hard without stabilisers but she just needs to grow another inch or two to be able to kick off and reach the extent of the pedals so at the moment she needs a little help. She is desperate to be able to ride and really wanted to go out again and practice. She was really content with riding around the grassed area opposite our house and going around the block with daddy holding on the the back as it was a bit too wet to go much further. Granny, Grampy and cousins all came in the afternoon for cake and to play for a while which all got rather loud and excitable but all the children seemed to be having a lot of fun! Then Nanny and Uncle M came later followed by a takeaway at Little 2's request. A family day at home but one happy birthday girl. For her birthday Little 2 had wanted a birthday party with her friends from school, she asked to go to a local pottery painting place that we had visited last year who did a party package. We had her party the week before and I have to say that this was the quietest children's party that I had ever been to. 10 children sat around a table painting their chosen pottery animal and barely a word was spoken for a whole 40 minutes between them. The parents seemed to be having a great time helping their children and everyone sat so nicely completely engrossed in what they were doing. A lunch box, a balloon and some bags to colour in (which were used to put each child's fired piece of pottery in for me to bring home and distribute the following week) kept everyone happy and occupied, it really was a lovely party. Little 1 painted a rabbit and Little 2 chose a cat, they look lovely on our mantlepiece. and she still loves Spaghetti Bolognaise. The one where Mummy gets a job!